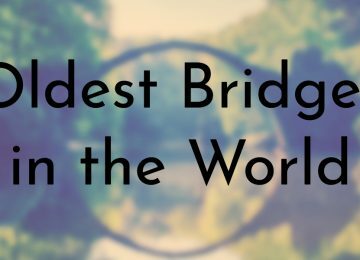 Our early human ancestors were nomadic for thousands of years before the first true civilizations began in Mesopotamia around 3200 BCE. As people began settling down, they started to construct more permanent structures or buildings. 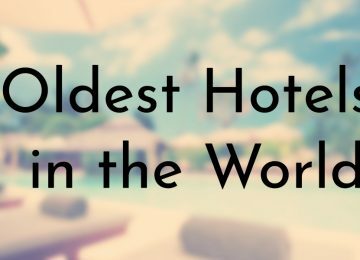 The oldest existing buildings date back to the beginning of civilization. 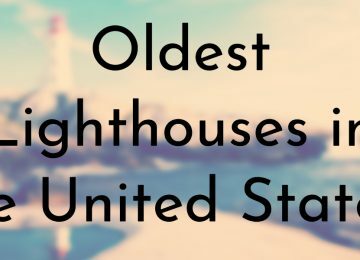 These old buildings were constructed with sturdy materials and were often renovated while they were still in use, which has contributed to their longevity. 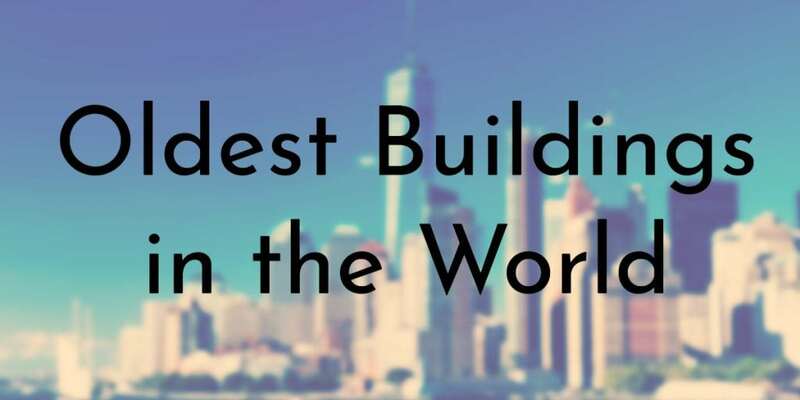 Today, all of these buildings are important archaeological sites and some are open to the public as popular tourist destinations. 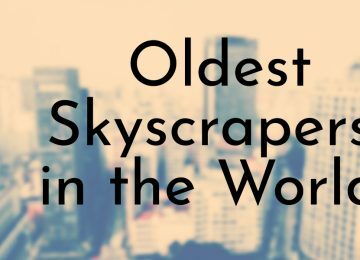 Since we’ve covered the oldest structures, temples, and pyramids before, these buildings have mostly been omitted from this list. 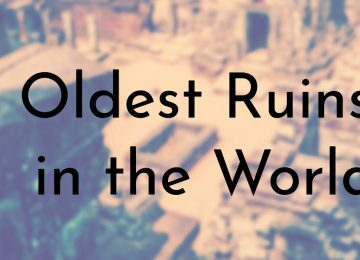 Instead, we chose to focus on buildings (a structure with a roof and walls) that were meant to be used by living people – tombs were also not included. 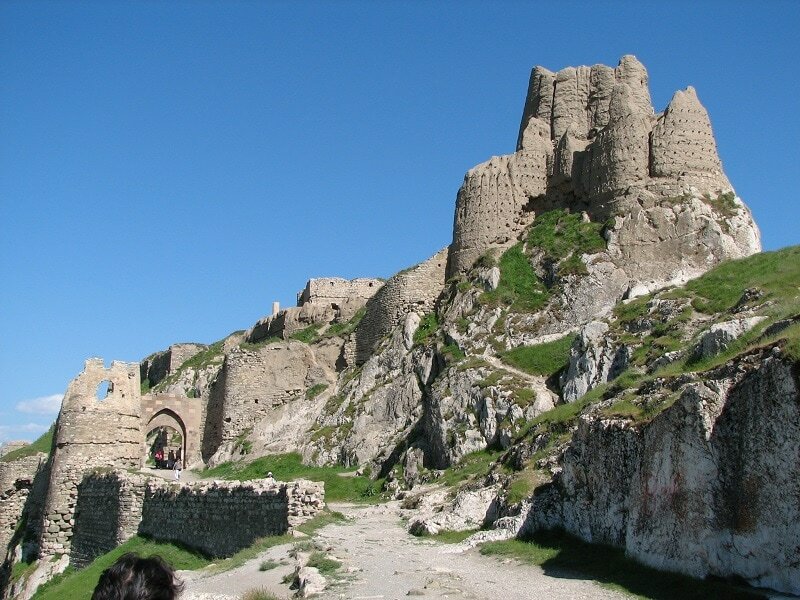 The Van Fortress or Van Citadel, which was built by the ancient kingdom of Uratu in modern-day Turkey, is considered to be the most impressive and largest fortress of its kind – the Uratu kingdom was known for building several fortresses throughout its territories. The oldest part of the fortress, the Sardur Tower was built during the 8th century BCE. In addition to being an excellent example of Urartian building prowess, the Van Fortress contains several records detailing the kingdom’s history. Following the fall of the Uratu Kingdom, the Van Fortress was occupied by successive groups such as the Medes, Achaemenids, Armenians, Parthians, Romans, Sassanid Persians, Byzantines, Arabs, Seljuks, Safavids, Afsharids, Ottomans, and Russians. One of the more interesting artifacts found at Van Fortress is a trilingual inscription of Xerxes the Great of the First Persian Empire, dating to the 5th century BCE. Dún Aonghasa is one of the best preserved forts anywhere in the world. 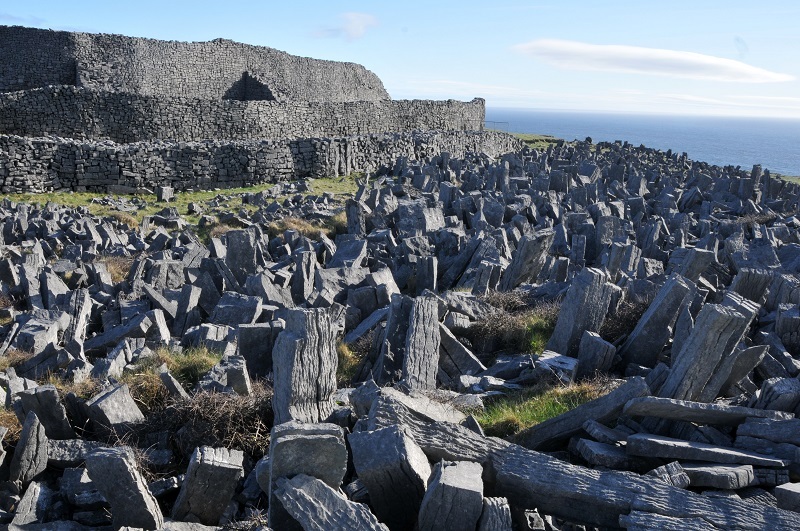 The cliff side fort is the largest of all the prehistoric forts in the Aran Islands and was built around 1100 BCE. Excavations have revealed that people had been living at the site since 1500 BCE and that the first version of Dún Aonghasa and the first permanent dwellings were built a few centuries after. One of the most impressive features of Dún Aonghasa are the jagged defensive stones known as a Chevaux de Frise that were added around the fort in 700 BCE. Today, Dún Aonghasa is one of Ireland’s most popular tourist sites and is a protected National Monument of Ireland. 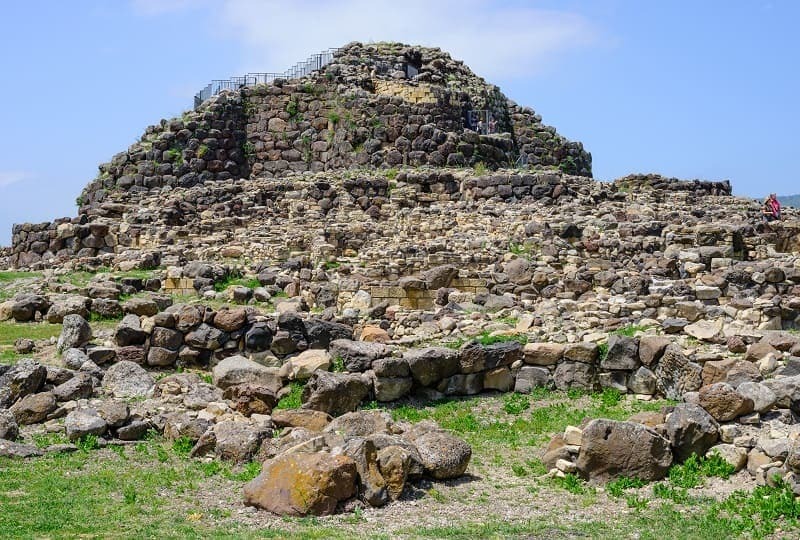 Of all the nuraghe structures in Sardinia, the one known as Su Nuraxi in the region of Barumini is the best-preserved and most impressive. Su Nuraxi is such an important archaeological site in Sardinia that it is on the UNESCO World Heritage list. The structure is one of the only remaining remnants of the Nuragic civilization. The Su Nuraxhi complex consists of a large central tower and four corner towers. Around the nuraghe is a village made of 50 huts, wells, and cisterns. While the oldest part of Su Nuraxi, the central tower, dates back to the early 16th century BCE, the rest of the complex was built later and reinforced to keep invaders away. 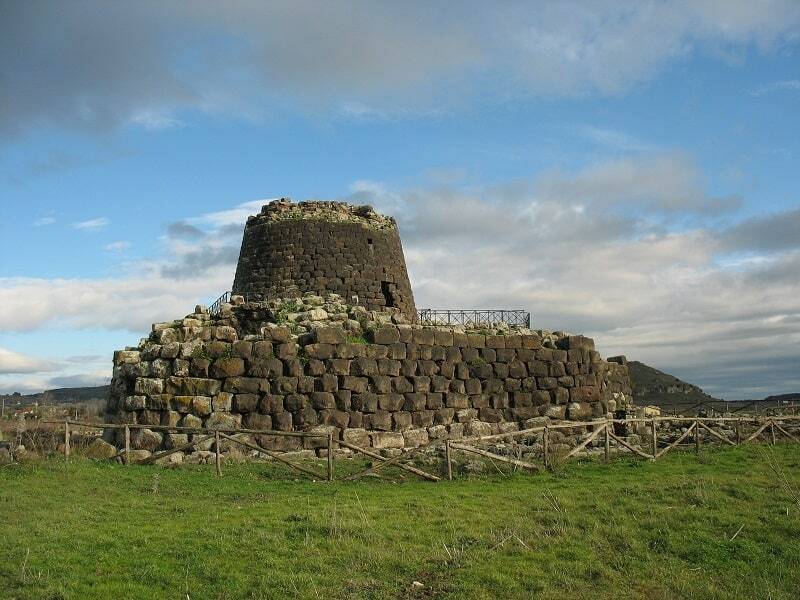 Nuraghe Santu Antine is one of the greatest archaeological sites in Sardinia. The megalithic building is located in the Valley of Nuraghi and is the oldest of these structures in the region. Officially, the building is known as Nuraghe Santu Antine and may have been named for Saint Constantine, who is called Antine in Sardic. However, the locals call the structure Sa Domu de su Re, the “House of the King”, which sheds some light on what the building may have been used for. Today, the most visible part of Nuraghe Santu Antine is its central/main tower, which has been dated to the 16th century BCE. Three smaller towers are positioned around the central tower and are connected by large walls. There are a few remains of what is believed to have been a large village around the nuraghe. 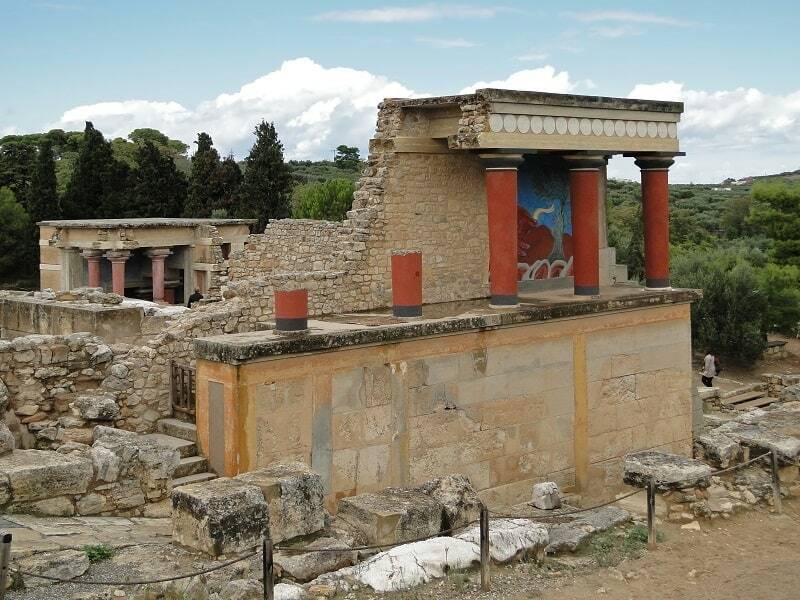 The Knossos archaeological site is home to what remains of the Palace of Knossos as well as several other structures that make up the complex that served as the capital of Minoan Crete. The first palace was built sometime in the early 20th century BCE and was replaced by a second palace around 1700 BCE. Recent research suggests that the first palace may not have been completely destroyed by earthquakes and that the Minoans just extensively renovated the palace over a period of centuries. Unfortunately, Knossos was often hit by natural disasters or other catastrophes such as war and occupation by other civilizations. While the palace was rebuilt several times, it was finally destroyed for good around 1300 BCE and Knossos was finally abandoned about a century after. When Knossos was excavated in the early 1900s, British archaeologist Arhtur Evans extensively restored the palace. However, Evans work is considered controversial as some archaeologists believe he imagined details and used materials that have endangered the site. 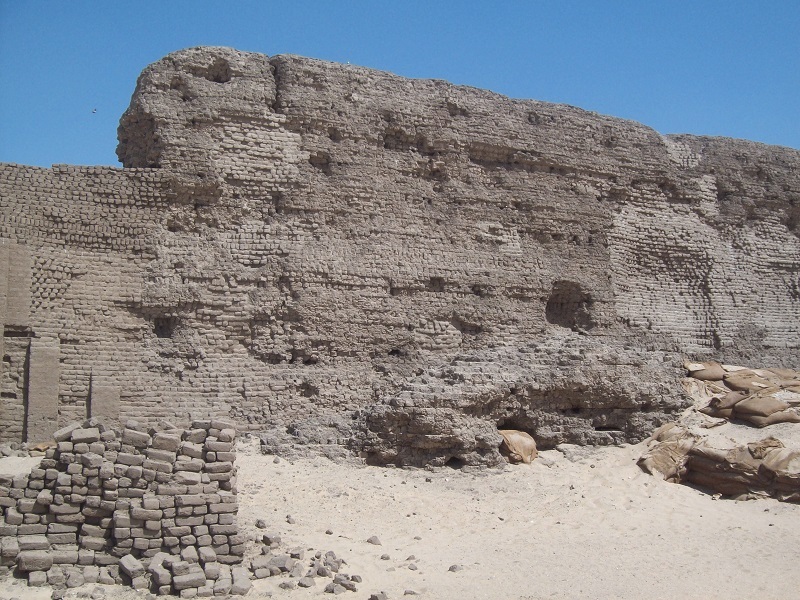 Shunet el-Zebib is one of the oldest buildings in Egypt and is one of the oldest extant mud brick buildings in the world. The structure was built as a royal monument to King Khasekhemwy, who ruled during ancient Egypt’s second dynasty. Shunent el-Zebib is made of two main sections, the King’s underground tomb and an above-ground complex where Khasekhemwy’s followers could gather to worship their departed ruler. Shunet el-Zebib was built sometime around 2750 BCE and is believed to be a direct precursor to Egypt’s famous pyramids. Djoser, Khasekhemwy’s successor, was influenced by the design of Shunet el-Zebib and ended up building the Saqqara Step Pyramid (aka Pyramid of Djoser), the first true pyramid. Around 2007, archaeologists started a project to restore Shunet el-Zebib to its former glory. The Tarxien Temples consist of four temples built between 3600 – 2500 BCE. Along with the older Ġgantija Temples, the Tarxien Temples make up the Megalithic Temples of Malta UNESCO World Heritage site. Most of the oldest temple, on the easternmost part of the site, is gone, but the other three have been substantially reconstructed. The Tarxien site was discovered in the 1920s by Sir Themistocles Zammit, Director of Museums at the time. Zammit is responsible for reconstructing the South Temple, East Temple, and Central Temple during the original excavations. 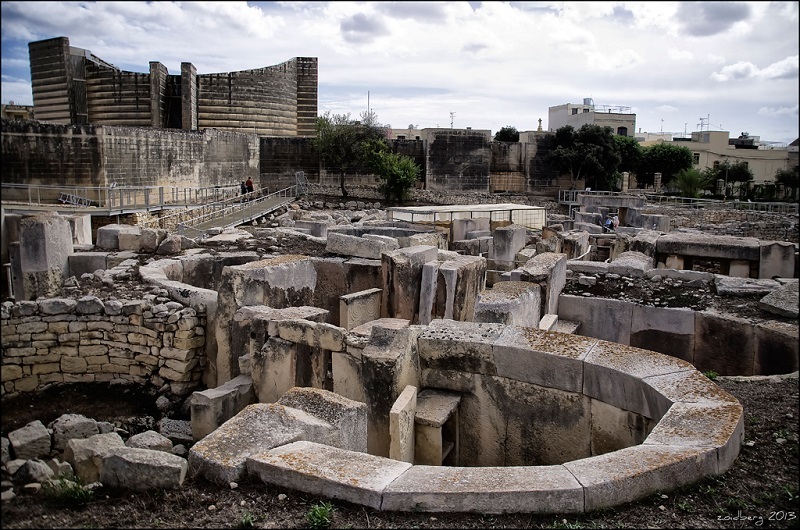 The Tarxien Temples are famous for their highly decorated stone blocks and screens, reliefs of domestic animals and spirals, the colossal statue, and a number of altars. In 2012, an elevated walkway was completed, allowing visitors to see the temple complex clearly. The Ġgantija Temples are one of the most important archaeological finds on the island of Malta and one of the most mysterious archaeological sites ever discovered anywhere in the world. 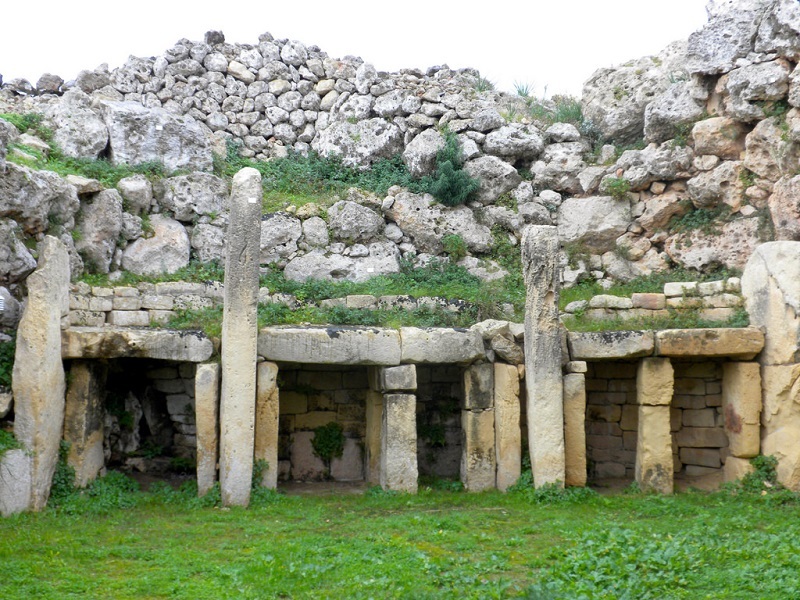 The two temples of Ġgantija were built between 3600 – 3200 BCE and are the oldest of the Megalithic Temples of Malta, all of which are UNESCO World Heritage sites. The temples were named after the Maltese word for giant, ġgant, because the site is commonly associated with a race of mysterious giants. While archaeologists aren’t quite sure what the temples were used for, there is evidence of ritual animal sacrifices. A number of animal remains were found near the stone hearths in the temples. Dating back to around 3600 BCE, the Knap of Howar is the oldest building in the world and is most likely the oldest house still standing. 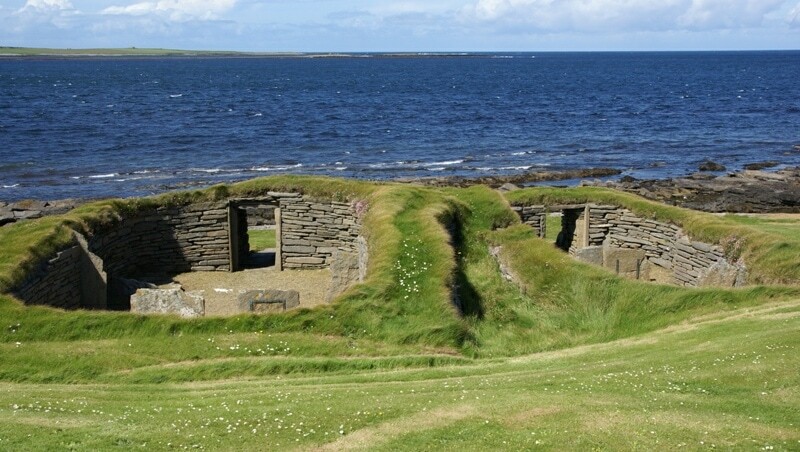 The Knap of Howar consists of two stone-built houses that were discovered in the 1930s when erosion revealed parts of the stone walls. Soon after, the site was excavated and archaeologists discovered that the two structures were linked by a passage through the joint walls. Archaeologists believe that the larger of the two buildings was used as a main house and the smaller structure served as workshop or barn. There is evidence that the smaller building was divided into three smaller areas. Eventually, whoever lived in the buildings closed up the entrances to the smaller house but continued to use the main house for several years. Additionally, archaeologists think the site had been for centuries and that the current structure was built on the remains of an earlier building.